"Patti is everything you would want in a real estate agent. She is honest, efficient, caring, wastes no time, gets the job done and right. She is a great listener and quickly will assess your needs and concerns and go to work to meet your needs. Whether your selling or buying she'll get the best price." "Patti is honestly the best agent that I have worked with. She is not only extremely professional and efficient but she has gone above what other agents have done for me. I requested feedback after each showing and Patti will keep contacting the showing agent until she gets the feedback that I requested. Its a pleasure working with her!" "Patti helped me find my new home! She always did what she said she was going to do. She was always on time if not early. She gave me her honest opinion instead of telling me what she thought I wanted to hear just to sell me a house. She was great about pointing out things that were not right with a house instead of passing them off as nothing just to try to sell me a house. She helped me navigate the mortgage process from start through reviewing the closing paperwork. She went out of her way to go look at houses while I was at work to speed things up. Patti treated me no different from someone who was hunting for a house in the millions! I will definitely recommend Patti." "Patti is an amazing real estate agent. I am very detail oriented, and demanding. Patti went above and beyond my expectations. She stayed on top of things, and ALWAYS followed up. She works for you! I have had both good and bad experiences with Agents. I will NEVER hire another agent. Patti will always get my business." 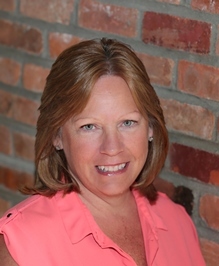 "Patti helped us QUICKLY sell our home. She priced the listing right and kept us up-to-date with showing feedback. It was a whirlwind month and we are very happy to have worked with her. She comes highly recommended."